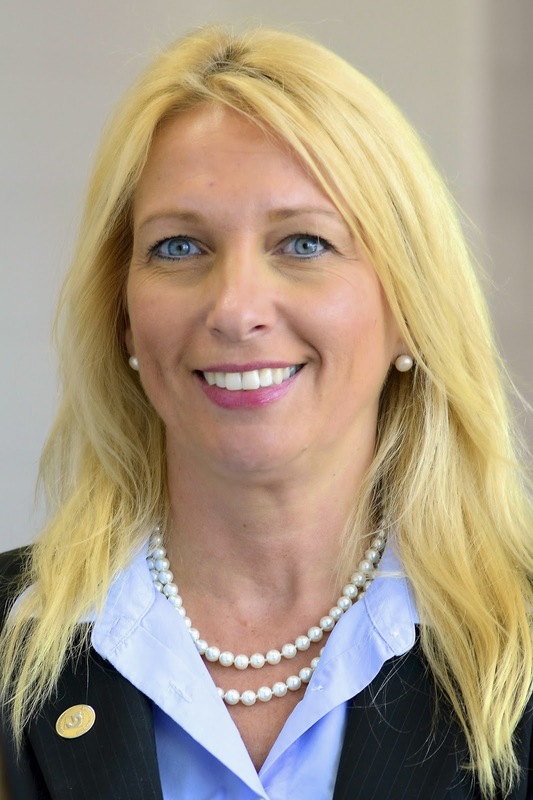 We'll meet each of the coaches in a series of Q&A profiles--Student Success Coach Sandra Haynes works with students at the Fredericksburg Area Campus in Spotsylvania. I am from Maryland, but have lived in the Fredericksburg area most of my life. Germanna Community College--General Studies, and Paraprofessional Counseling Certificate. University of Richmond--Liberal Arts, B.A. I have worked at Germanna over three years. What do you like about working at Germanna? About being a Student Success Coach? I like working with students. As a Student Success Coach I am able to work with students one on one in assisting them in reaching their academic goals. Staying away from all the candy and treats the other coaches bring in to share. Be patient with yourself and stay focused. Keep your eyes on the prize. Stay in school! It is easier to stay in school then to have to go after you have a family and other adult responsibilities. Breathe and be patient with yourself. You can do it. Make sure you keep an appointment book. Some may think students will not get as good an education from community college as they will from a university. That's not true. Community college offers a great education, it’s affordable, and it’s easy to transfer to a four year college when you complete your associate’s degree. I am divorced and have two great boys. I am a “tomboy” at heart. For example, I enjoy riding dirt bikes, four wheelers and target practicing. College football--Liberty Flames and University of Richmond Spiders. 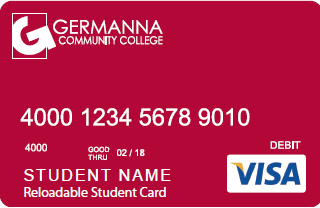 Germanna Community College is launching its Refund2Card program on Monday, Nov. 24, 2014. Sign up now and your financial aid disbursements and certain tuition refunds fast. Use the card at retail stores and ATMs. We’ll meet each of the coaches in a series of Q&A profile—Jennifer Lawrence works with students at the Fredericksburg Area Campus in Spotsylvania. I'm from Varina, Virginia. I live in Spotsylvania County near the Fredericksburg Area Campus. Where did you go to high school and college and what degrees do you have? I graduated from Varina High School. I also graduated from the University of Virginia with a bachelor in psychology, the College of William and Mary with a master in higher education administration, and Virginia Commonwealth University with a master in rehabilitation counseling. I have worked at Germanna for two and a half months. I enjoy working with students from diverse backgrounds. I look forward to meeting with students to learn about their strengths and assist them with planning for their futures. As a student success coach, I hope to continue to empower students to make decisions that will have a positive impact in their lives and to prepare themselves for things that lie ahead. I hope that students will begin to use their emails as an additional resource to learn about important information and events. The college has supportive faculty and staff that really want to see you succeed and are willing to help you reach your goals. Take advantage of the various resources that you have at your fingertips. Make the best out of this experience and learn as much as you can. College is a great place to learn more about your individuality, focus on your academic interests, discover and work toward your career goals, and improve your social awareness. Reflection about the accomplishments that you have made can be uplifting. Making goals to set standards for your future can improve your self-awareness of things that you would like to accomplish. I have heard some feedback that community college is not as “rigorous” as a four-year college or university. However, community college is a “real” college that encourages in-depth learning of different subjects and provides strong support for that learning. I'm married and have one child. My favorite theme park is the Animal Kingdom in Orlando, Fla.
One of my favorite books is “A Hand to Guide Me” by Denzel Washington. My favorite poem is “The Road Not Taken” by Robert Frost. I do not have a favorite sport or team. I do enjoy watching basketball. Is there a gene for compassion? Or is it learned–developed by a series of experiences as we grow up? Germanna Community College President David Sam’s “Memories in Clay, Dreams of Wolves” is an honest and powerful book that provides a compelling window into the development of the heart and mind of a man who has devoted his life to helping those unlucky through no fault of their own. “Memories in Clay, Dreams of Wolves” gathers poetry about a boyhood and adult life lived in conversation with nature. Sam describes a life shaped by his youth in Pennsylvania and Michigan and his journey by thumb through the Pacific Northwest. “The are semi-autobiographical–which means I allow myself to lie if it makes for a better poem,” Sam quips. Profits from the sale of the book go to the Germanna Community College Educational Foundation. Sam has a reading and signing set for 2 p.m.-4 p.m. this Saturday, Nov. 15 at The Griffin Book Shop and Coffee Bar at 723 Caroline St. in downtown Fredericksburg. The book is available on Amazon.com, at The Griffin and at the Germanna Book Store. In 1961, the family moved with his father’s factory to Belleville, Mich., a far suburb of Detroit. Small town life near a lake and the rural farm fields and woods within a short walk along the railroad tracks often appear in the imagery and biography of his verse. Bob Dixon, Germanna Community College Veterans Support Counselor, announced Tuesday that GCC has moved up from sixth to fourth among the 23 Virginia Community College System schools in terms of number of students enrolled through the G.I. Bill. GCC Veterans Support Counselor Bob Dixon thanks veteran students for their service at a Germanna Veterans Day luncheon. The total of 575 constitutes about 7 percent of Germanna’s for credit enrollment and about 10 percent of its full time equivalent enrollment. He said that as the U.S. winds down involvement in Afghanistan, the number of veterans returning to college will continue to climb. Germanna President David A. Sam, (left), told veteran students he’s proud of them and of the sacrifices made by vets in his own family. At right is GCC Veterans Support Conselor Bob Dixon.